Having been an "armchair modeller" for many years, John Wilkes finally took the plunge and started building a model railway. In this book, packed with pictures and explanation, John describes how and where he started, the skills he developed along the way, and what he created. This is one man's account of the trials and tribulations, the joys and pleasures of modelling in 009. 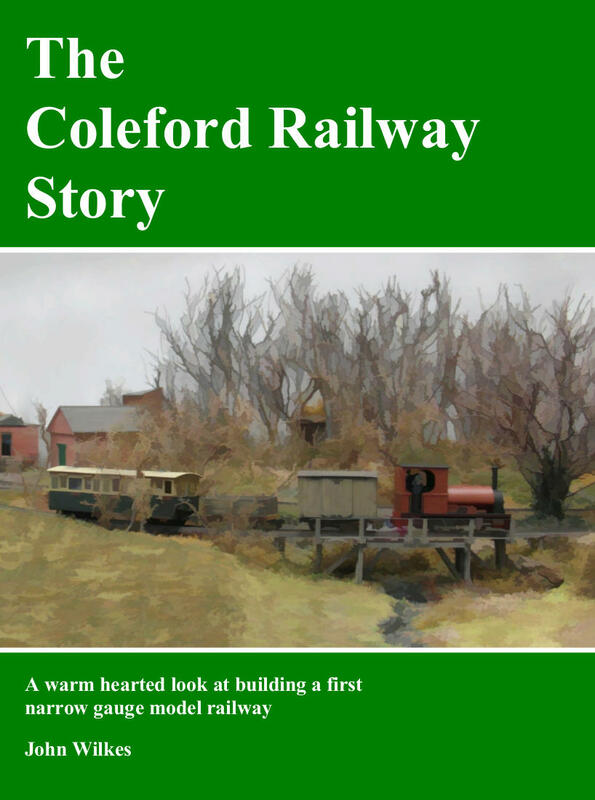 In person at exhibitions where Coleford is appearing. See list on Coleford page. “…very readable, packed with interesting insights and humorous observations”. “It provides … many practical techniques from laying track and building landscapes to making trees and kit-bashing rolling stock”. “… immensely readable … tells an interesting story [and] will prove very useful …”. “… for the price of a couple of pints you’d be daft not to get a copy, as this is coffee for the tired 009 brain”.